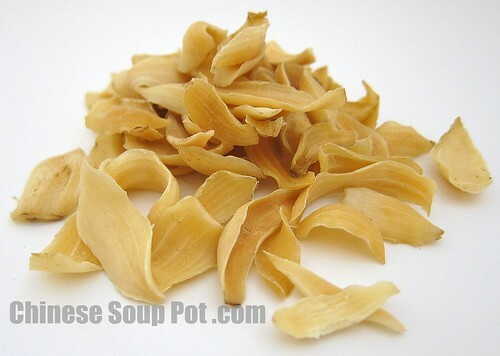 Dried lily bulb can be found in many Chinese herbal stores and some Asian supermarkets. Fresh lily bulbs are typically found in Asian supermarkets only in the produce section. As with all herbs, use in moderation and consult with a physician first. According to traditional Chinese herbology, those with wind-cold or diarrehea should avoid using lily bulb. How do you use your Lily Bulb? Leave a comment below to share your ideas. Hmm – maybe I should recommend this to folks I know with insomnia! What a cool ingredient! I’ve never heard of it or used it. I’ll have to find some, thanks! This sounds like the perfect herb for this time of year! I’d be curious as to how it tastes in desserts–since it’s a flower, it seems like it would be well-suited for that.